Ripe Beautiful red Apples Hang on the Apple Tree, Bright Sunlight and Light and Wind Play with Leaves and Fruit. Concept of Healthy Eating. Apple Trees with Red Apples. hd00:17Ripe Beautiful red Apples Hang on the Apple Tree, Bright Sunlight and Light and Wind Play with Leaves and Fruit. Concept of Healthy Eating. Apple Trees with Red Apples. hd00:30Full Apple Tree camera move. 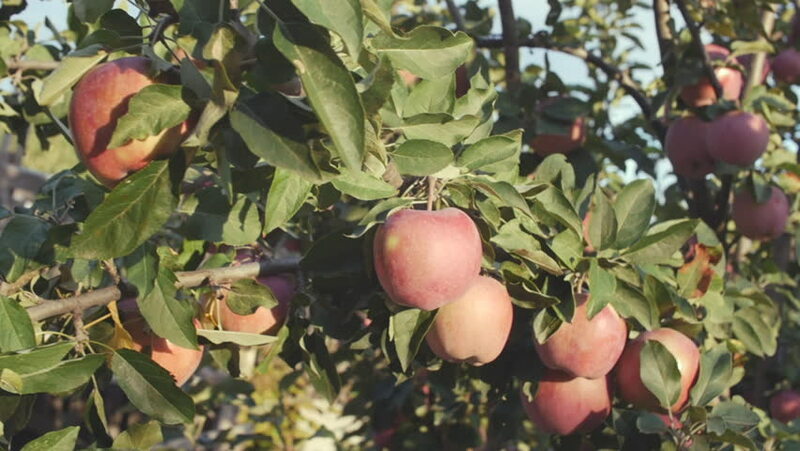 Dolly shot of apples in the tree ready to be harvested. hd00:09Apple tree in the apple garden. 4k00:12Harvest of ripe apples on the background of blue sky.